Avansovka is based on the newest technological standards of application developement. Avansovka is based on cross development platform. Thus highest compatibility across different platforms with identical user interfaces for expense reporting in Russia is assured. The expense reporting application for Russia is using avanced user interface concepts. Most important the user decides how precise and complex he likes to enter the data. The more precise already on the mobile all expenses to be reimbursed can be calculated. Or just to keep it plain simple. Additional the datainput through turning barrels in unique. Important data can so just be input with one hand even on large mobiles. Expense reporting thus become very easy. The flexible user interface for your expense report just means you decide how much data you enter into the application on our moble. What might sound complex is in reality very simple – and your expense reporting in Russia is for the first time very simple. In the simplified version just take a picture of the expense bill and press a button – and there goes the email to your accountant with the expense attached. Simple – point and shoot -. If you like it complex you add to each expense bill all data (sum, currency, date, expense category etc.) and if you even use the trip managment tool also the correct per diems will be calculated. The system will calculate a full complete expensereport which your accountant will receive and can in a strucutred way book into the system. The user interface is simple and clear. Grapfical symbols, easy understanding of the system flow and everyhting finetuned to the user needs. 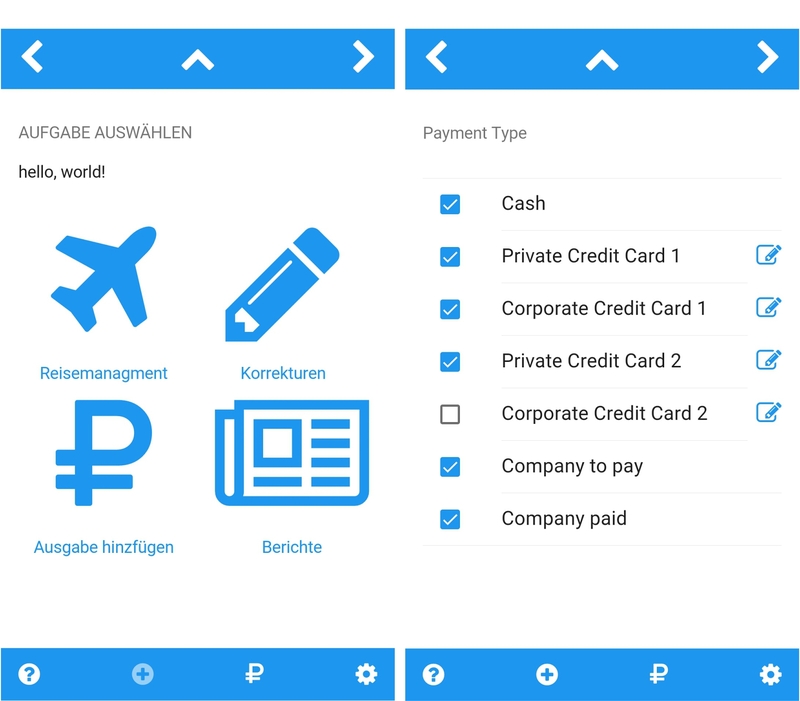 The user interface for the expense reporting app is standardised through the entire application. Based on the newest standards and on successfull apps. For the expense reporting app a special interface system of turning barrels was developed. Very simply input data by turning the barrels. Unique is that you can set the input data which should be displayed by the barrels. Inputs can be easily done just by turning the barrel. The travel tool is in its format also unique. Just enter the travel data and the system calculates the per diems correctly. Additionally all the expenses can be allocated to a business trip. All is well sorted; each expense attached to a business trio. All the Data is yours! 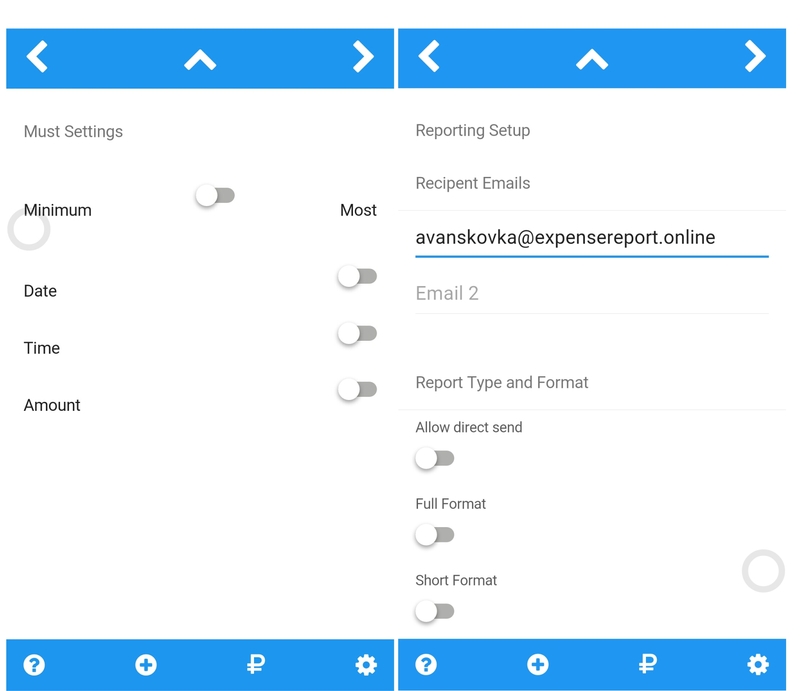 All data which you enter into the expense reporting application Avansovka will be only saved on your mobile. All data is save and with you only. You alone provide it to your accountant. The application avansovka was especially developed for Russia. The application Avansovka complies with Russian accounting standards and inside the application lots of information about Russian accounting rules for expenses is embedded. Step by step also accounting standards from other countries will be implemented. The application software for expense reporting in Russia was developed by specialists for Russian accounting. Avansovka, your expense reporting application can calculate how much your employer is to compensate you. For this only all data is to be entered into the mobile expense reporting application. If all expense reporting data is entered into the application the system generats a complex report. This report is then used by your accountant to reimburse your expenses. 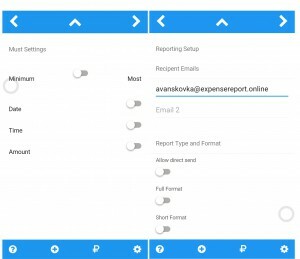 The expense reporting mobile application for Russia was developed by a team with many years of experience in accounting in Russia. The mobile expense reporting application matches the needs of the individual user and the accountant to improve the quality and speed of expense reporting in Russia.